I am so excited to announce the arrival of our much awaited sweet baby girl!! 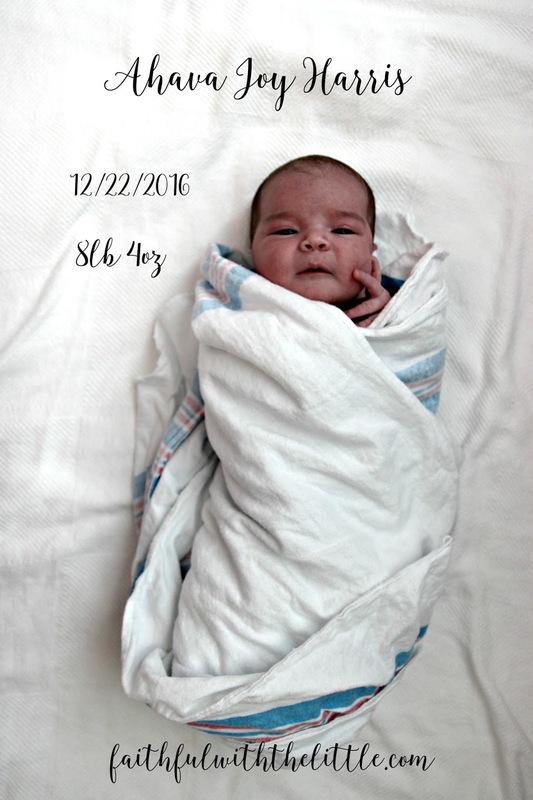 She was born at 5:18 in the morning on the 22nd of December. It's hard to believe a week has already gone by! We have been soaking up every minute with her! We can't get enough of her sweet newborn smell and snuggles! We are all in baby heaven! Thank you so much for all your prayers and kind words during this pregnancy! God has been so gracious to us. I can't wait to share all the details of her birth with you soon! And for those of you who are wondering; her name, Ahava, means love in Hebrew. Congratulations, she is beautiful and I love her name!!!! Enjoy her. Thanks so much Denise! I am!!! Soak up those newborn snuggles and enjoy the simple moments! Congratulations!!!! Oh! I'm so glad for you. May God bless your daughter with a heart filled with the love of God and Jesus Christ and a sure salvation at a young age in Jesus' Name! God bless you all. Oh such a sweet picture! She shares a birthday with my daughter who just turned three on December 22! Congrats! Oh how cool! It was perfect timing for us! How very precious! Congratulations. Love her name! Congratulations on your beautiful little lady! Aww she shares a birthday with my oldest! Congratulations! 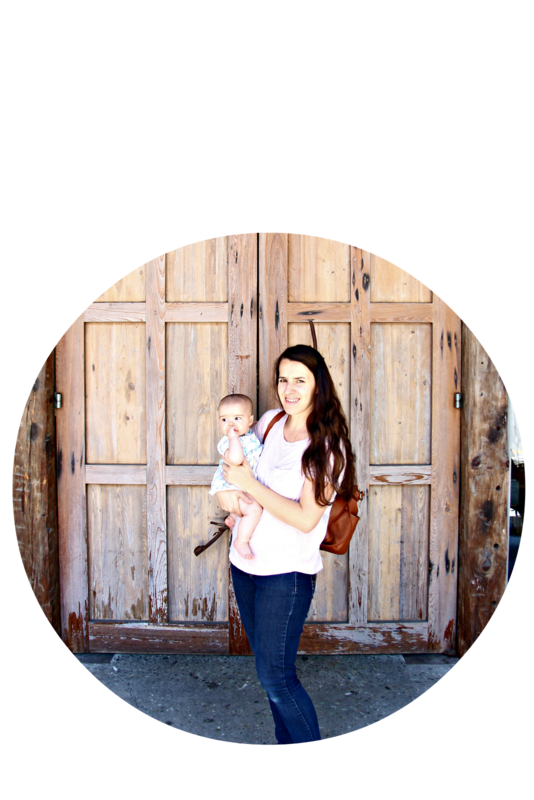 Best time of year to have a baby :) Your post is being featured at Mommy Moments this week so make sure to stop by and check it out! Oh wow! It was a crazy time of year for us but she really came at the perfect time! Thanks! How exciting! Congrats on your sweet little girl! Visiting from Mommy Moments link up. Congratulations on the Birth of you Baby Girl! Thanks Gina! She is such a blessing!